We’re very proud of the exceptional work, research and innovation happening across our sites to improve patient care and safety. Throughout the year, this work and research is also being presented by our teams to other healthcare leaders at conferences across Canada and beyond. The Anterior Hip Early Ambulation and Discharge (AHEAD) Program. Never Events for Hospital Care Safety Initiative. Targeting Malnutrition Using the Integrated Nutrition Pathway for Acute Care: A Quality Improvement Initiative. The Niagara Eating Disorder Outpatient Program had their research accepted at the 2018 International Conference for Eating Disorders in Chicago. 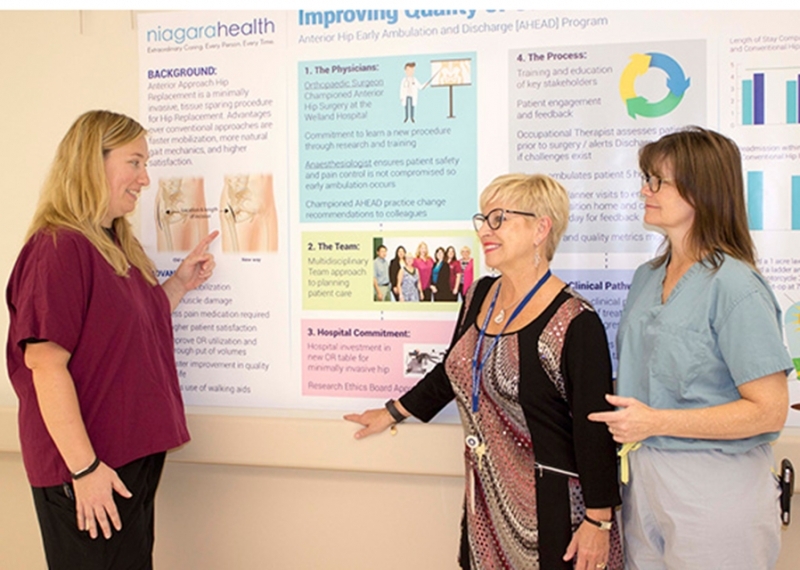 Niagara Health’s poster on the Failure Modes Effects Analysis (FMEA) process was awarded second place at the Canadian Association of Nephrology Nurses and Technologists Conference in Halifax in October.